Historically, California has been one of the most cannabis tolerant states, having first decriminalized marijuana in 1975. In 1996, California became the first state to legalize marijuana for medicinal use. Unfortunately, voters failed to legalize marijuana for recreational use when it was put up for a vote under Proposition 19 in 2010, BUT, The Adult Use of Marijuana Act (Proposition 64) was passed on November 8th, 2016, legalizing the recreational use of marijuana for adults over the age of 21! As of today (January 1st 2018) recreational cannabis shops are open! If you’re over 21, go find a shop and support your newfound recreational markets! Shops are popping up all over the place, go get some good Cali green! As a result of the newfound recreational legality, adults are legally allowed to possess up to one ounce of marijuana at a time and cultivate up to 6 plants – as long as they are out of public view. Individuals seeking a medical marijuana identification card must first prove they are over the age of 18 and a California resident. A qualified patient may possess up to 8 ounces (.5 lbs) of marijuana at one time. Qualified patients are also allowed to grow up to 6 mature plants or 12 immature plants. Culturally, California is pretty accepting of recreational pot. The state renowned for growing marijuana outdoors, but an unfortunate consequence of this is that many illegal growers have a reputation for damaging the National Forest. In addition to polluting nature, growers are threatening the ecosystem because marijuana is a non-native plant. If recreational use is legalized, people will be able to grow in more public places (like their backyards) and the threat to the National Forest will be reduced or eliminated. Kush encourages discretion for all travelers. It isn’t unusual to see and smell weed in public in California but use common sense and courtesy. Vape pens are often the best way to consume if you must in a public area. Don’t drive while high – you can be convicted of a DUI for driving under the influence of marijuana in California. Even though cannabis is legal in California, if you do find yourself in a pinch with the law, check out our California Cannabis Lawyers page for help! As of November 2016, both recreational and medical marijuana are legal. In order to purchase from a licensed medical dispensary, you need a medical marijuana card, which you can get from specific doctors in the state. You must be a resident of California to get a card. Recreational shops are now open, and all you will need is a state-issued form of identification if you’re over 21! No, legally you cannot get your medical marijuana card if you are not a California resident. That being said, you may hear stories of shady places giving them out to non-residents. If you are a California resident with a Medical Marijuana Card you can visit any of the thousands of state-licensed dispensaries in California. You can find these dispensaries using our map and guide. We do warn you to call ahead of time though. Many of these dispensaries have moved or closed due to the volatile medical laws in CA. Recreational shops are now open, go buy some top-shelf herb! As of January 2018, to visit a medical dispensary you need a medical card, which you can get from specific doctors in the state. Now that recreational shops are open, you will just need any valid form of government-issued identification proving that you are over the age of 21. With your California Medical Marijuana Card, you are allowed to possess 8 ounces of usable cannabis. Now that the recreational use of marijuana is legal, you can expect the limit of possession to be up to one ounce of marijuana flower. Legally, you can only consume in a private residence. However, at many events in California, you will see citizens openly consuming in public as a form of civil disobedience. California police aren’t known to hassle you unless you’re being obvious. Our best recommendation is to use discretion if you choose to smoke outside of a private residence. Since the Adult Use of Marijuana Act (AUMA) was passed, the number of people consuming in public will likely rise. Adults over the age of 21 are allowed to grow up to 6 plants at a time! With the outrageously fertile nature of California soil, we would love to pop some seeds in the ground in the backyard and see what happens! Imagine getting off the beach and tending to your crop of 6 beautiful cannabis plants. Nirvana. One of the few stipulations to this law is that all plants must be out of sight of the general public, so get a tarp! Stay hippie, California! If you suspect you may be close to a marijuana grow site, be quiet and leave the area immediately — do not investigate any further. Marijuana is big business in California, and illegal growers have been known to use violence or kill if they feel threatened or think their crop is at risk. Outdoor cultivation on National Forest land is illegal and many times growers in these regions are associated with organized crime. This will likely dissipate if the Adult Use of Marijuana Act (AUMA) is passed on the eighth of November. Most bills go into effect on the first day of January of the following year. Urgency measures take effect immediately after they are signed or after they are allowed to become law without signature. AUMA passed on November 8th, 2016, and the laws went into effect on January 1, 2017. Recreational shops opened their doors on January 1, 2018. When will recreational Marijuana stores open up in California? As predicted, recreational cannabis shops opened their doors to the public on January 1, 2018. Yes! With the recent legalization of recreational cannabis, new tours are popping up daily! 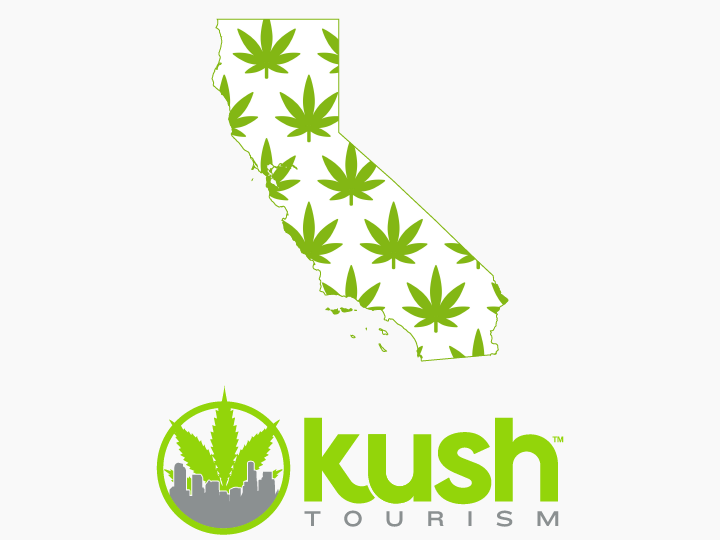 More information on California Marijuana Tours can be found here! Yes. You can always get in trouble at the federal level, but as long as you follow the rules for marijuana in California, state and local authorities will not have any issues with you. Even though cannabis is legal in California, if you do find yourself in a pinch with the law, check out our California Cannabis Lawyers page for help!